In breaking video news this week, YouTube announced an updated policy to shield young children from inappropriate and offensive videos. This change comes after reports about just how easy it was to find disturbing videos on YouTube aimed at young kids. These videos start with innocent themes using favorite family-friendly characters but end up depicting violence or sexual content. The new policy uses algorithmic filters and human reviews to flag videos as Age Restricted Content, and the YouTube Kids app keeps children safe by filtering these videos out. 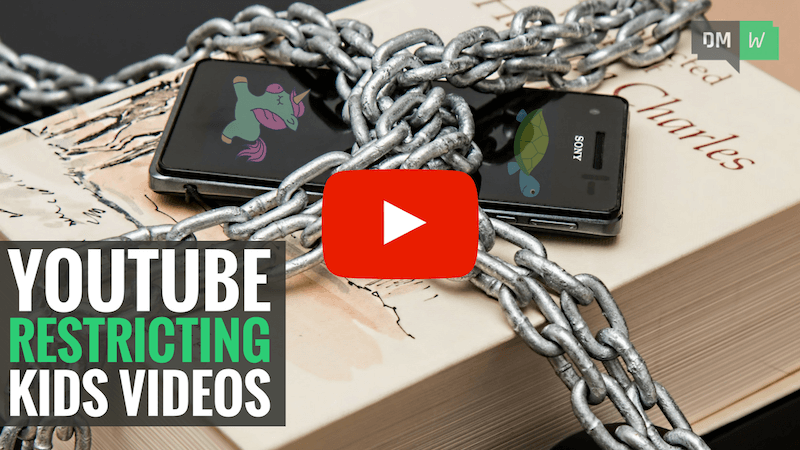 YouTube excludes all Age Restricted Content from advertising. So if the new algorithmic filters happen to flag your videos as Age Restricted Content they will be ineligible to earn ad revenue. It’s therefore important to check your videos to make sure that they don’t get flagged as Age Restricted Content, when this update rolls out. As of this week, members of Facebook Groups and Events will be able to collaborate on a Facebook Story visible to everyone within the Group or Event! In case you don't know, Facebook Stories are small photo and video collections that are visible for up to 24 hours. Any member of the group/event will be able to add their photos and videos to the collaborative Story. The Story will then appear in the News Feed of ALL group/event members, as well as in the Group or Event page itself. Event Stories could be great for weddings, seminars, or business events. Group Stories could also be a fantastic way to interact with others who share the same hobbies or profession as you. In fact, we're going to test this new feature next week in the I Use Content Samurai Facebook Group. So join the group today and see what all the hype is about! Facebook has revealed it's testing a new version of its Messenger app that includes a highly requested customer chat plugin. The plugin will integrate into your website, and allow you to continue conversations with your customers between your site and Facebook Messenger. For example, a potential customer might ask a question about your products via the messenger chat plugin while browsing your website. If they leave their computer, they can continue the conversation in the Messenger app on their mobile, without losing any of the chat history from the initial exchange on your website. You can quickly and easily answer any questions the potential customer has, which may improve the chances of converting them into a paying customer. Messenger version 2.2 and the chat plugin is currently in a closed beta. We'll keep an eye on this and let you know as soon as there's an update!